How to organize a celebration for your child? How to entertain the little fidgets on a holiday, do not turn gray yourself :)? What special to come up with for a children’s birthday party? For any children’s party from birthday to graduation from kindergarten or school, we offer different scenarios that have one thing in common – they are original and interesting. A feast for the little ones. A trip on the TRAM with all the crowd, with young guests and their parents. This may be a children’s birthday party or any children’s event. For the little guys it’s a adventure-tour, with stops, which will be full of fairy wonders. Merry check-taker-host will tell a fascinating story about where you can go on the magic tram. We will meet characters from fairy tales, good wizards and insidious witches . We can beep in horn of the tram, dispelling evil spell, learn new tricks, play a tying balloons “to the node”, and of course, along with a pile of impressions we get a mountain of presents! For older children we’re offering to organize a birthday, graduation, or any other of the events! We will find the room for your event, as well as offer a scenario, special menu for children, and we’ll work out all other details. The highlight of the event – a TRAM ride, during which the kids can have all the fun, take part in contests and games showing there skills, kindness, courage, and also learning a variety of useful qualities. During the stops children will see festive performances of magicians, science show, bubble show, or something even more unusual. 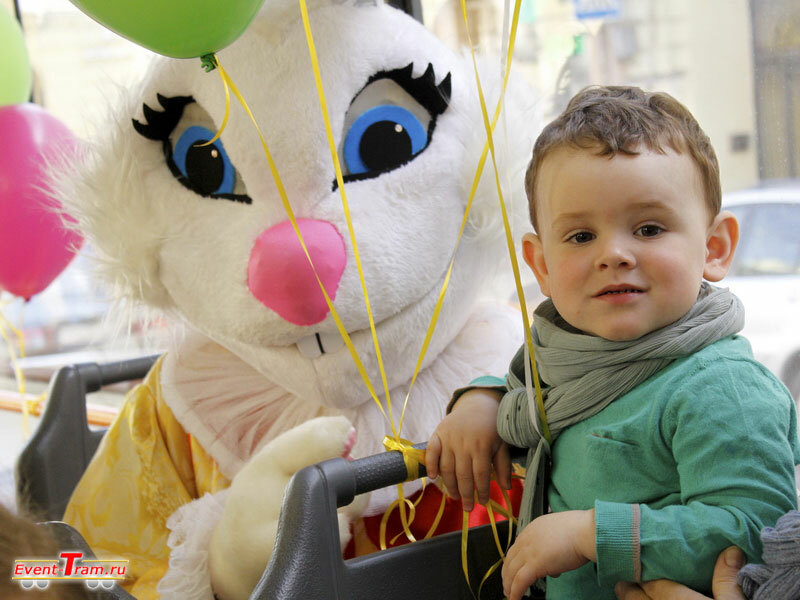 As well, while riding the tram, in the form of a game children can learn about the history of the city or, for example, the traffic safety rules. The conductor will show the Tram cabin and explain lucidly device of the tram. 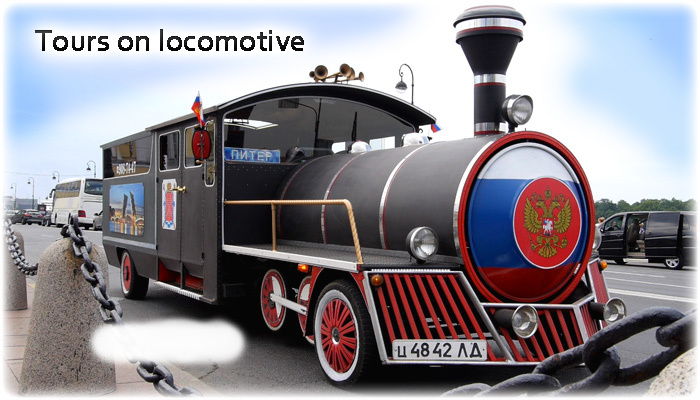 Just think – your own tram for children’s party! Organization of a teenager’s birthday party requires a special approach. We take into consideration interests of young people and offer something that will be important for your company. We organize everything from stylish invitations, to the slightest nuance during the party itself. In the TRAM you can arrange a fun trip with friends, remember a little bit about your childhood and be happy about upcoming future, you can make a real “adult” disco with a professional DJ and light music, or “sweet party”, full of candy and treats. 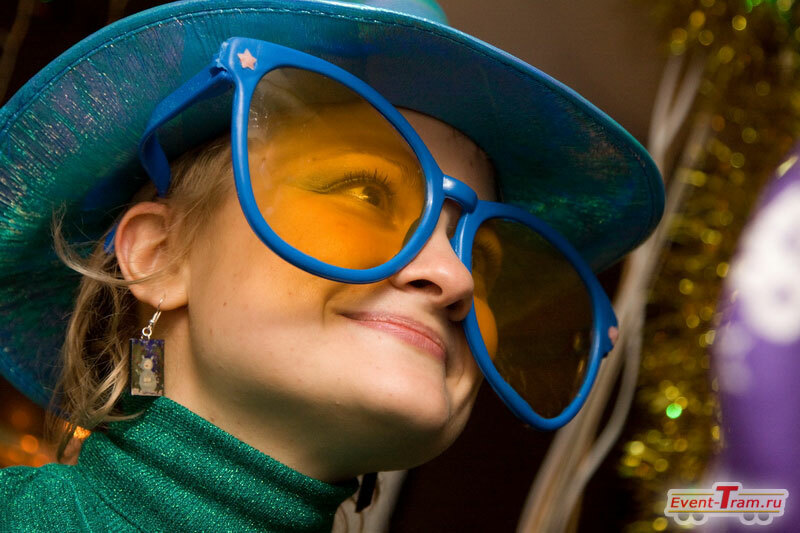 We offer various themed parties for the most demanding guests. Event for the teenager might not only be a birthday, it might be a meeting of old friends, the anniversary of the end of school, or even kindergarten. 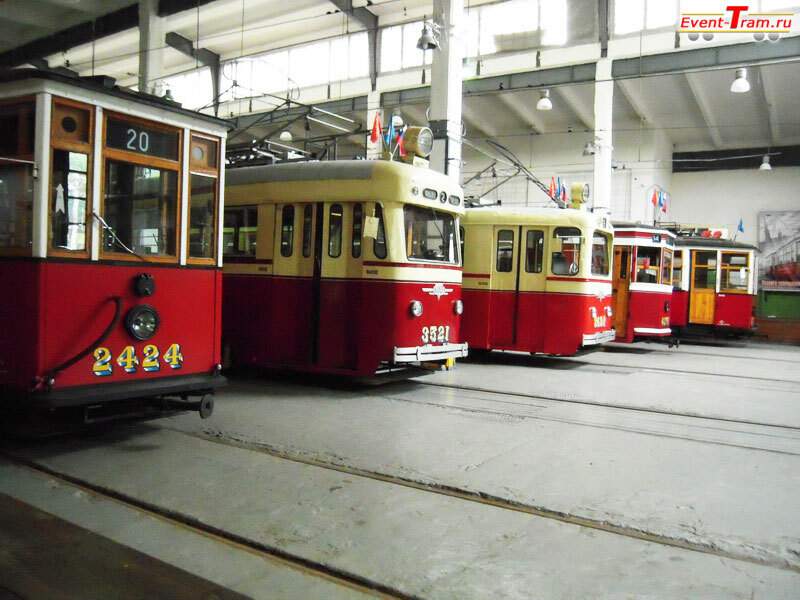 Or maybe it’s simply the embodiment of an old childhood dream – to ride on your own vintage tram? Stay in a cabin and imagine the old times. Indeed the original unique adventure. Unexpected adventure for any child. Original photos and videos of decorated trams you won’t find anywhere else! 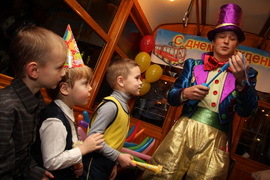 Tram, decorated inside and out specifically for children’s party, equipped with modern music system and lighting. Your trams will travel along your route pre-planned according to your wishes. 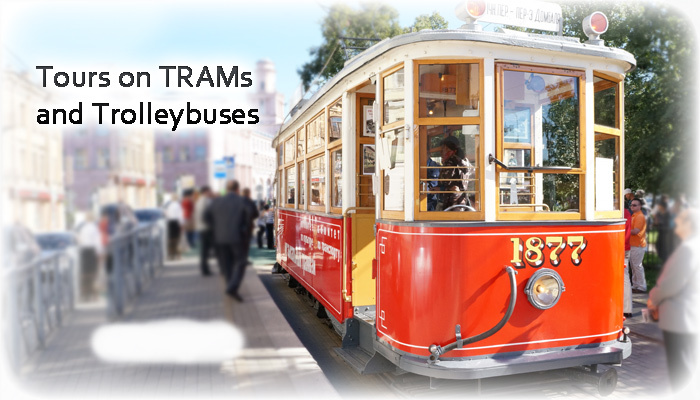 You choose suitable model of a TRAM, which varies from 18 to 60 seats. You can rent retro or modern TRAM. 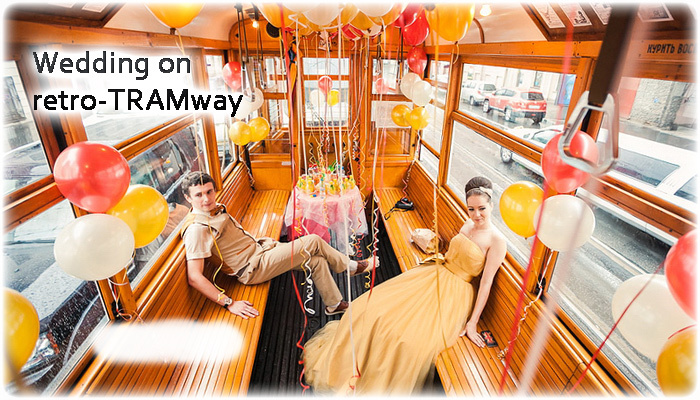 Riding the TRAM can become part of your event or the main venue of the celebration. 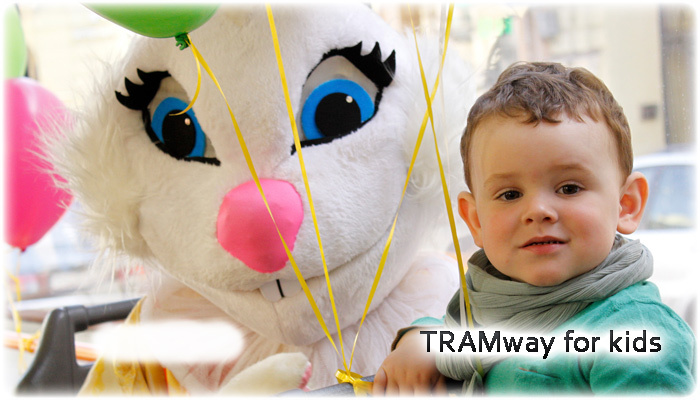 In your TRAM we can organize children’s table with drinks and snacks and a dance floor for the children. We also offer you the services of hosts, artists working with children, photographers, etc. 1. 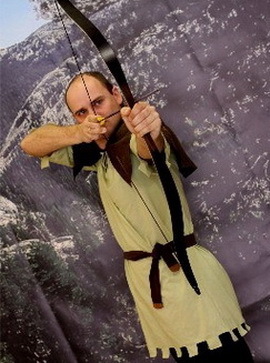 Children’s Party at Archery-crossbow shooting range (from 7 years) from 10 000 rub. 2. Interactive themed programs in any space – at home, in a cafe & restaurant, or in the gym & Entertainment Center from 5000 rub. 3. Kids Quest in the museums of the city from 10 000 rub. You can choose a ready-made program or order something quite unusual, we are happy to come up with an individual scenario for children of any age. We like to surprise the children and ask them the most intricate tasks that they would not only find interesting but also useful. In each program, we include information-rich pieces that allow children to learn more on the topic, in which the event is themed. 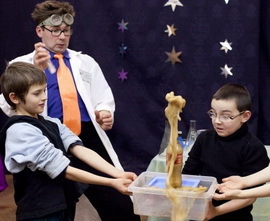 For example, during a scientific show children perceive on their own experience the laws of physics and chemistry by making new materials with their hands, and in the program about travelers kids get to know the historical facts, and plunge into the realities of the first discoverers. To order a turnkey children’s party, or other services, as well as to ask any questions, call us or fill in the form and we will contact you. If you like the idea of organizing a festival in the tram, then click “like” and join our groups in social networks.